Roy took Wish out for her bedtime walk tonight and I could not stop laughing. I laughed so much I started choking! It decided to absolutely throw it down with rain not long after they both left. They came back drenched. Roy stripped off at the door, he left some evidence but he ran off too quickly before I could get the camera. Little Wish on the other hand was waiting to be dried off. The first photo shows her not looking at all impressed, her face really made me laugh. Quick rub down with the towel and she was happy again. Just had to share the photos! 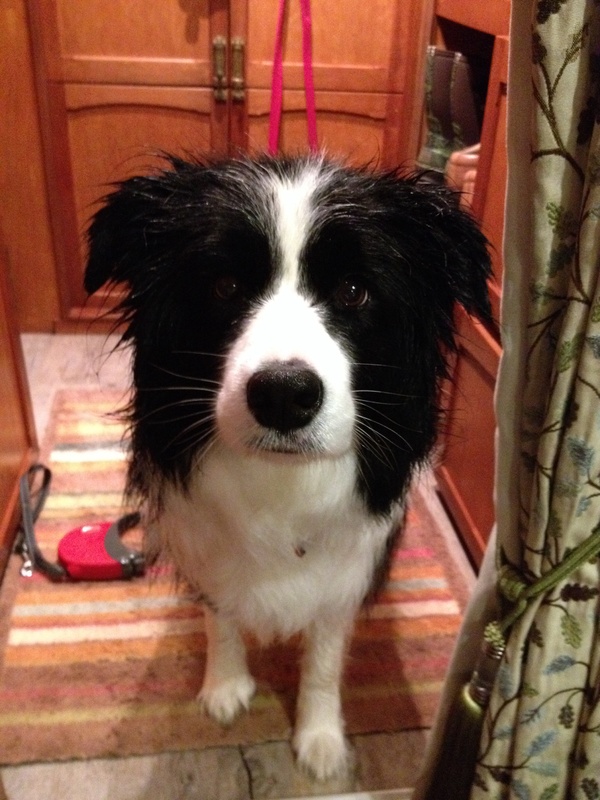 Slight smell of wet dog in the air tonight! 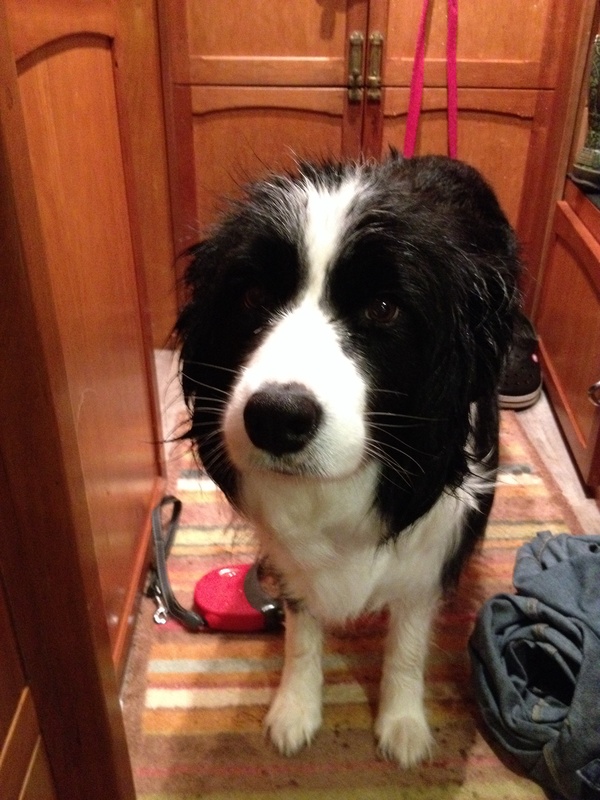 This entry was posted in Foxglove and tagged not impressed, raining, Wet dog. Bookmark the permalink.